Since founding Eisbrouch Marsh, LLC over 25 years ago, David Eisbrouch has dedicated his entire legal career to helping victims of personal injury. Through many years as a leading trial attorney, Mr. Eisbrouch has earned a reputation for successful results and compassion for his clients. 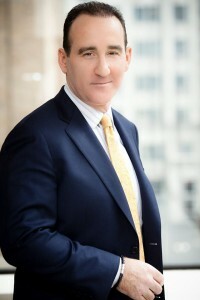 He played large roles in the historical Vioxx and Avandia mass tort settlements, and has been involved in many more mass tort litigations including metal-on-metal hip implants, transvaginal mesh, Actos, Yaz, Chantix, Bextra/Celebrex, Actos, Zyprexa and others. Today, Eisbrouch Marsh, LLC continues to help those who have experienced serious life changing injuries get the justice they deserve.